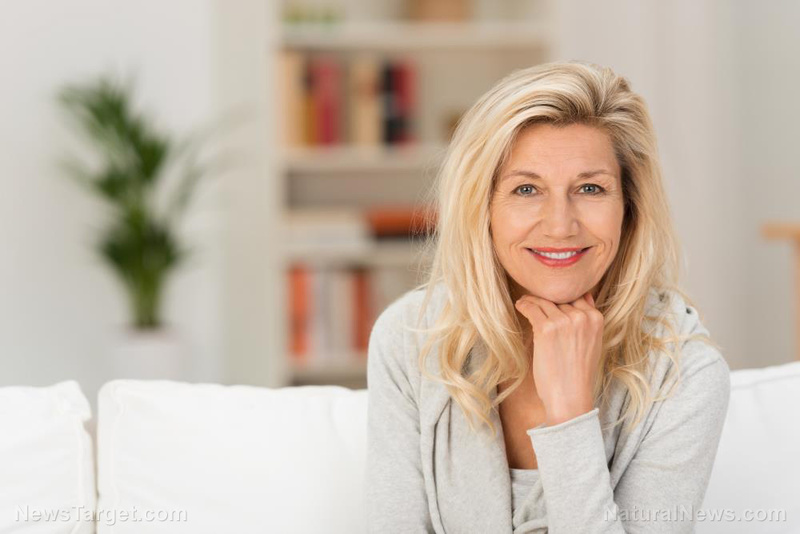 (Natural News) Many people are obsessed with looking younger than they actually are — and there’s nothing wrong about that. One of the most common signs of aging is the presence of wrinkles, which is why there is an abundance of anti-aging products aimed at reducing wrinkle formation. A group of researchers from Kyung Hee University was able to show that the Korean herbal medicinal formula called Seungma-Galgeun-Tang (SMGGT) has anti-wrinkle properties. Wrinkle formation is a process that many want to avoid. It is caused by impaired skin cell function that leads to reduced type-1 collagen in the dermis. Collagen is a structural protein and so its loss will lead to reduced stability and integrity of skin tissues. In addition to aging, external factors can also induce wrinkle formation. One of the ways through which this occurs is through exposure to ultraviolet (UV) radiation since this can induce transcription factors that promote matrix metalloproteinase expression, as well as inhibit collagen synthesis. Korea is known for producing some of the most effective and advanced beauty products in the world. Although their products are advanced, many of these are still made with naturally-found ingredients. The traditional formulation SMGGT was recommended for use as a beauty product by many traditional clinics since they believed that it could inhibit wrinkle formation. SMGGT is a combination of Cimicifugae rhizoma, Radix Puerariae, Radix Paeoniae, and Radix Glycyrrhizae. In the past, it was used for treating smallpox, measles, and hives. The effectiveness of SMGGT against these diseases could be attributed to its anti-inflammatory and anti-allergic effects. In this study, which was published in BMC Complementary and Alternative Medicine, the anti-wrinkle effects of SMGGT were evaluated based on its ability to reduce matrix metalloproteinase-1 production and increase type-1 procollagen. However, before these were evaluated, the components found in SMGGT were first identified. The researchers were able to observe that the major compounds present were isoferulic acid, puerarin, 3′-methoxypuerarin, daidzin, paeoniflorin, and liquiritin. From there, the researchers proceeded to evaluate cytotoxicity and anti-wrinkle effects using cultured human dermal fibroblasts. Based on the results, SMGGT did not exhibit cytotoxic activity against the human dermal fibroblast cells, showing that the herbal formulation is safe for use. Additionally, they were also able to observe significant reductions in matrix metalloproteinase-1 expression and elevated type-1 procollagen synthesis in cultures exposed to UV radiation. As previously mentioned, UV radiation causes the opposite of what was observed, which means that SMGGT treatment effectively reversed the effects of UV. Although the actual molecular mechanism for the anti-wrinkle effects of SMGGT was not determined, it was hypothesized that the following cytokines and transcription factors are involved: transforming growth factor beta-2, activator protein-1, and a transcription factor with c-Jun and c-Fos. Coconut oil – The moisturizing and hydrating properties of coconut oil allows it to restore the skin’s elasticity while also making the skin more radiant. Apply coconut oil on the affected areas before going to bed and leave it on overnight. Castor oil – Castor oil increases elastin and collagen in the skin, causing wrinkles and fine lines to disappear. Similar to coconut oil, application of castor oil should also be done every night and left on the skin overnight. Argan oil – With regular application of argan oil, the skin will always feel refreshed and wrinkles will soon disappear. This is due to the presence of essential fatty acids and vitamin E. Application can be done once or twice a day to see better effects. Learn more about how Seungma-Galgeun-Tang reduces wrinkles by visiting Cosmetics.news today.